Thank you for watching our video. Scott Paton has been podcasting since the spring of 2005. His podcast "Weight Loss and The Mind" hit over 375,000 subscribers in its first year and over one million downloads. He has executive produced and/or co-hosted over 35 podcasts. An internationally renowned speaker, Scott has presented to audiences from London, England to Sydney, Australia, from Vancouver, BC to New York, NY, from LA to Rwanda. Thousands of entrepreneurs and NGO's have changed their public engagement strategies based on Scott's sharing. We hope you will, too! Ricky Shetty is the owner and operator of Daddy Blogger, where he writes about parenting from a father’s perspective with a big emphasis on family travel with young kids. Currently, Ricky and his family are on a 1 year Round-The-World Trip visiting Asia, the Middle East, Africa, South America, and Central America. 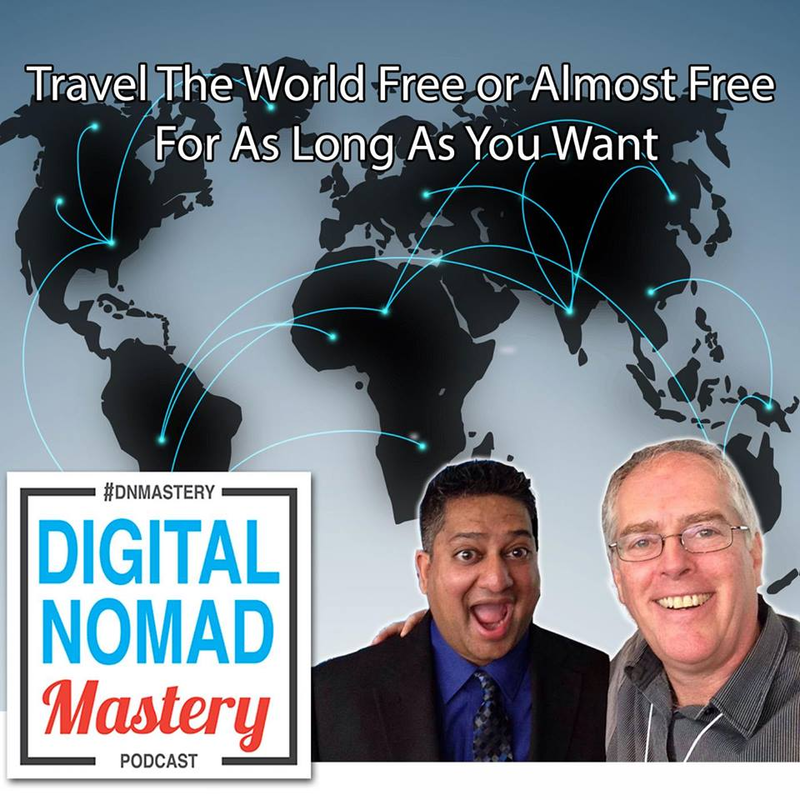 Now Scott and Ricky are traveling the world and talking with other Digital Nomads.